Just 10 tables remain on sale for the 2018 HM Awards presented by Sealy Posturepedic gala presentation dinner, with the event expected to sell out this week. More than 700 people are set to attend the accommodation industry’s premier awards night, which will be be held at the Grand Ballroom at ICC Sydney on Friday, September 7. Almost 50 HM Awards will be handed out in 2018, recognising excellence across a range of categories, from people and departments to properties and chains. Annually, over 1,500 different people and properties are nominated and after a lengthy voting process by a judging panel involving 20 industry professionals and travel media, the finalists and winners are then decided. 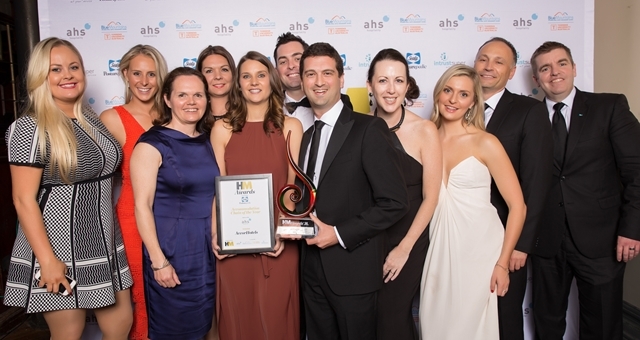 In the last 15 years, over 8,600 people have attended the HM Awards presented by Sealy Posturepedic and more than 680 awards have been awarded to hotels across Australia, New Zealand and the South Pacific. To book your tickets for the 2018 HM Awards presented by Sealy Posturepedic gala presentation dinner at ICC Sydney on Friday, September 7, 2018, click here.